← Is Your “Sit to Stand Solution” Really Only a “Standing” Solution? 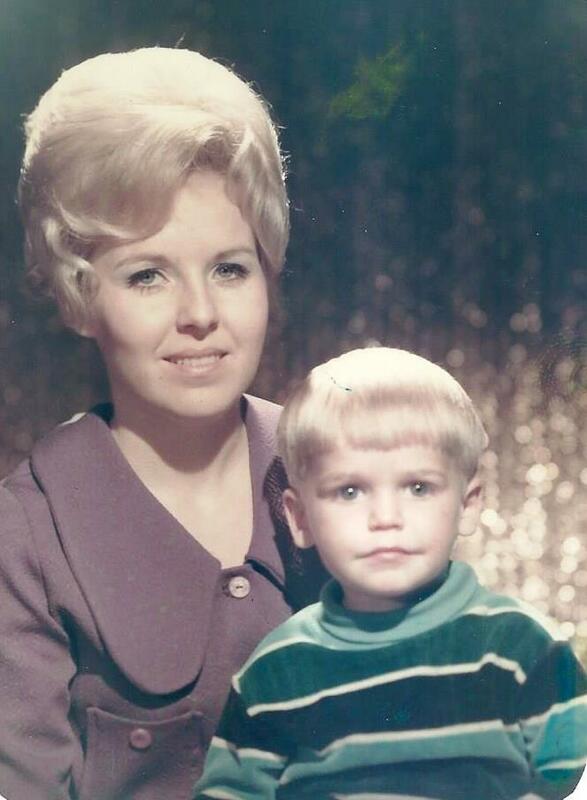 In honor of my Mom and to all the Mom’s around the world, the following is a tribute. 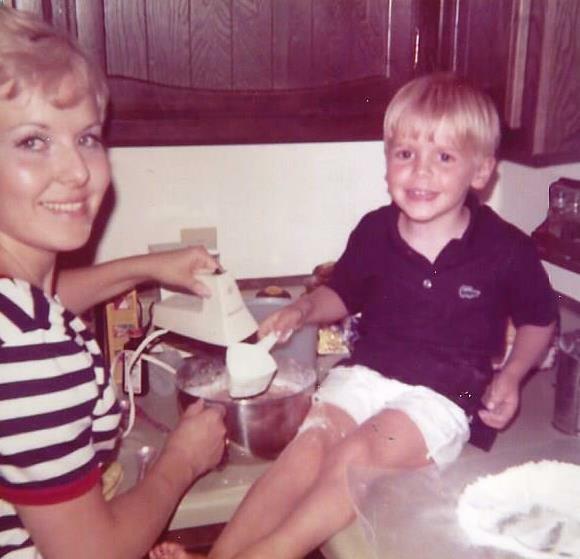 My Mom taught me so much as a child and many of these lessons have stayed with me for life. A few in particular have grown to become absolute fundamentals that my life is now based on. A common thread running through these lessons includes the principles of honor and respect. In the following I will share both the original lesson and what each means to me today. From my earliest memories I was taught the importance of saying these short and simple words. They are such a part of me that I find myself particularly with women saying Yes Ma’am & No Ma’am even when they’re younger than me. If they are older, male or female, the words come automatically. It shows reverence and respect and in my humble opinion, I think it is greatly appreciated on the part of the recipient. 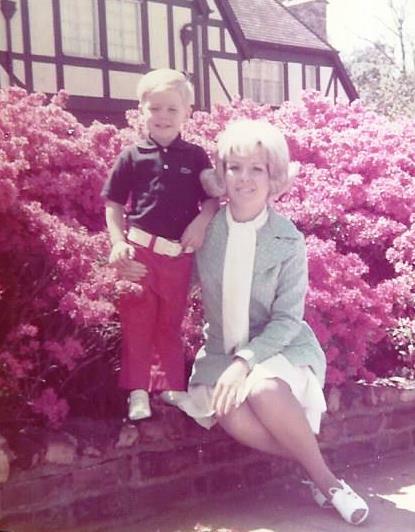 Learning to say “thank you” has to be one of the most critical lessons I learned from my Mom. It was drilled into me so much that like Yes Ma’am & No Ma’am, it became an absolute automatic. Further, I was taught from an early age to write thank you notes for any occasion where I was blessed by someone else. Thank you notes are a lost art in today’s world and yet they are a timeless and classic expression of honor and respect. As a child I grew up in a loving middle class family and never lacked for any material thing. My Mom always taught me to be thankful and to never take anything for granted. I learned early on that not everyone grew up in the same type of home as me. Some had it better…and some had it much worse. This early perspective taught me the value of being grateful for my blessings both material and intangible. After all, the most valuable things in life are those which money can’t buy. This lesson also teaches that happiness comes from within and is not based on some outside thing, accomplishment, or circumstance. Always strive to improve yourself through self-directed growth but never fall into the trap of thinking that happiness is the “pot of gold” at the end of the journey. Happiness is the journey. In chronological terms, this may be one of the earliest lessons we all learn. In my case, while I was always fairly well-behaved, I did receive my fair share of spankings. Proverbs 22:6 says to “Train up a child in the way he should go, and when he is old he will not depart from it.” I am so thankful for my Mom not sparing the “rod” when I was a child because of the lessons it taught me for life. Most people fail to make the connection with the significance of the wisdom of Proverbs 22:6. The higher lesson is teaching a child the discipline to do the right thing even when it’s not necessarily what they want to do because they understand the negative repercussions that will come from the wrong behavior. This is a lesson that will bear fruit for a lifetime because as adults, we all have a choice each day in how we conduct ourselves and in the decisions we make. There will always be hard choices to make that without the backbone of discipline, the path of least resistance will likely be taken. High achievers in every area of life only get there through hard work and discipline. Learning to tell the truth was one of the harder lessons to learn because there is an element of trust involved. I can remember Mom explaining that telling the truth especially when you’ve done something wrong will get you in less trouble than in telling a lie…and ultimately being caught. It only took a few occasions where I tried to “hide” the truth with the “skin of a lie” only to be found out, that I discovered how much worse getting caught in a lie can actually be. Now as a follower of Christ, I read and study my Bible daily and I know how much God hates lying. The Bible is full of warnings against the danger of telling lies. Between my loving reverence for my Mom and a healthy fear of the Lord, today I strive to live my life above reproach in every area. Finally, not telling the truth seems to only make it worse when you finally get caught. The Bible teaches the principle of “sowing and reaping” and states that you will always reap later than you sow and greater than you sow. I believe this explains the multiplying effect of lying today and getting caught tomorrow and that’s a price I never want to pay. How many times did our Mom’s say to “play nice with your friends”? Little did we know how valuable this simple direction would turn out to be. Getting along with people is a priceless asset at any age. Whether in business or in your personal life, we are relational beings and we must get along with others to be happy and contributing members of society. My mentor and leadership expert, John C. Maxwell, teaches that “One is too small a number to achieve greatness.” Anything of significance in life will require the help of others. Being able to connect with and develop relationships is a critical skill in achieving a fulfilled and successful life. As an extension of playing nice with your friends, the wisdom of choosing your friends wisely is some of the best advice I ever received from my Mom. It seemed simple enough when we were kids, however the significant importance of choosing your friends and associates wisely can not be overstated. This is one lesson from my Mom that is truly for a lifetime. It causes me to constantly compare where I am in life relative to my moral standards and goals and to be aware of how my associations are influencing my behavior and results for better or worse. This is another classic “Mom” saying that should be held on to for life. It’s simple advice and yet the results can be profoundly positive or negative. My mentor Jeffrey Gitomer teaches to “Say why you like things and people…not why you don’t.” A negative statement may in fact be the truth and yet if it doesn’t bring value to the situation, then what’s the point? Further, you can’t have a quality relationship with someone who you speak negatively about behind their back. Proverbs 18:21 says “Death and life are in the power of the tongue.” We literally speak our world into existence, and when you talk negatively about someone in their absence, you are poisoning your attitude towards that person. It will be impossible to have a 100% positive relationship because of your negative thinking towards them. Finally, if your negative comments ever get back to the person you were slandering, the potential negative consequences are great. Regardless of the circumstances, this is a habit fraught with danger. While my spiritual gifts and strengths are different from my Mom’s, I learned the valuable lesson from her that we are called to serve others. God has given each of us a unique skill set and from my Mom’s example, it is a daily goal for me to be a good and faithful steward. The hardest lesson of all and yet one of the most beneficial is the act of forgiving. My Mom taught me early on the value of this often times difficult act. It could mean forgiving someone else for some way they have wronged you. Or it could be you asking for forgiveness where you have wronged someone. In either case, timing is critical and I believe the sooner you address the issue the better. When I have done something where I feel an apology is due, I try to go to the person as soon as possible. For the record, I prefer not to say “I’m sorry”. “Sorry” is a state of being and if you say it often enough…you become it. My preference is to offer an apology followed by asking the other person for their forgiveness. Trust me, this is way harder than just saying “I’m sorry”. But the relief you feel when the other person grants their forgiveness will allow you both to move forward with closure and peace of mind. Harder still is when you’re the one granting the forgiveness. Without going into extreme examples, this can be one of the most difficult things we are called to do in life. And yet being will to do so can be one of the healthiest acts we can ever take for our emotional well being. My Pastor, Dr. Jack Graham, teaches on the negative consequences of harboring a “root of bitterness” towards another person. The offender may be guilty of a truly horrible act and yet to hold on to your negative feelings can ultimately do you more harm. Pastor says a root of bitterness is like acid slowly eating away at the inside of its container. Living with a general spirit of forgiveness is one of the wisest lessons you can ever learn. It has been hard for me and yet is has paid great dividends over the years. Closely tied to forgiveness…a Mom’s love has no equal. She knows more about you than anyone and loves you anyway. 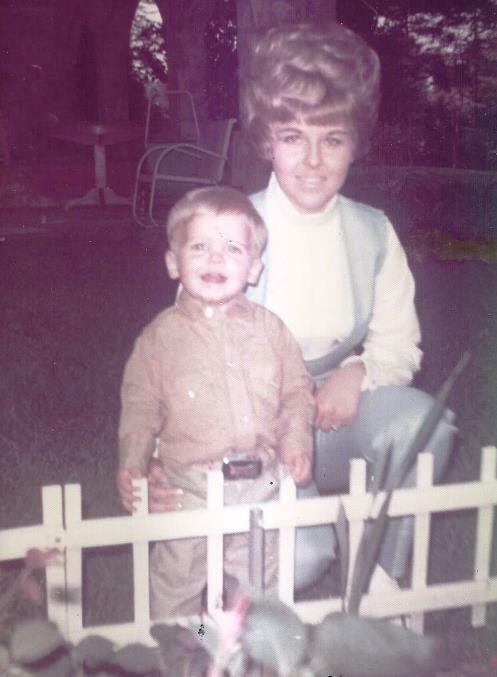 My Mom always allowed me the freedom to pursue different things and then encouraged me every step of the way. From golf, to bodybuilding, to a variety of business opportunities (bless her), to dating long distance which led to an engagement and relocation to Colorado….every step of the way she was my cheerleader. This taught me the wisdom that can only come from failure when my pursuits crashed and burned. It also taught me self-reliance and the all important quality of accepting 100% responsibility for your decisions and where you are in life. I can never begin to repay all that she has done for me. She holds a special place in my heart that can never be replaced by anyone else. I love her with all my heart because she’s my Mom. As a Christian, my Major Definite Purpose is to "Positively Impact the World with My God Given Spiritual Gifts to Encourage and Serve Through the Vehicles of Business & Fitness". As a Master Fitness Professional & Nutrition Coach I have a unique skill set and welcome every opportunity to serve my clients. This entry was posted in Andy Andrews, attitude, Christian, Faith, Follower of Christ, jeffrey gitomer, Jim Rohn, John Maxwell, life path, love, Prestonwood Baptist Church, spiritual gifts, the power of associations, Uncategorized, Zig Ziglar and tagged Andy Andrews, attitude, Christian, Faith, Follower of Christ, jeffrey gitomer, Jim Rohn, John Maxwell, life path, personal development, Prestonwood Baptist Church, Zig Ziglar. Bookmark the permalink. Dee and I are very pleased that your mother’s surgeries went well. Of course we hate for her to be in pain. Regardless, we know that she will be glad that she endured the pain of surgery to get relief from continual back pain. I have read your blog. Dee wants to read it too but she will wait until tomorrow when she has a little free time. I thought that it was excellent. You have a gift. Anytime that you want me to look one over ahead of publication let me know. I realize that you have publication deadlines and they might not allow for the laps time required for me to read, comment and for your to incorporate my corrections. I would have had only one typo on this one to report and I had no comment to improve the content. You did exceptionally well. I am eager to hear Dee’s thoughts. I think that she will be very touched. I will continue to pray for your health. I am excited about how well your shoulder is healing. I hope that you will continue to heal and I also hope that your job suffers little. You have the right stuff to make it in this job. You quoted Charles “Tremendous” Jones. Here is another of his quotes, “If you don’t like something, dig a little deeper! Wow! That’s TREMENDOUS!” I can remember standing with him at the back of the auditorium in Tulsa (I think it was Tulsa) before he delivered one of his inspiring talks. He was very real. He never learned anything. He was always “learning” but never arriving. He loved to dig deeper into everything. If his interest waned he would do more research. Peeling the onion until he could find something sweet to eat. Dig into ergonomics and the whole ergonomic furniture industry until no one knows it better than you. . You will find that God always puts us where He wants us. We are always happiest when we are in His will. It was a genuine blessing to be with you during worship today. 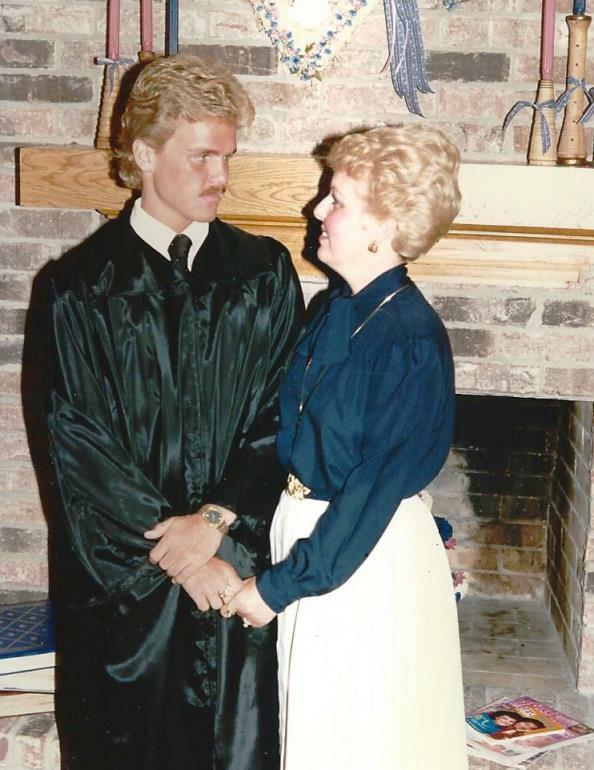 Bill and Mary Todd love you like their own son. They just light up when they see you. They can tell that you have a real caring heart. Continue to carve out some private time with them. They will bless you more abundantly than you could ever imagine.